The need to limit bandwidth in modern computing has been on the rise. More software and hardware requirements are highly dependent on network access. One application could affect other functions if the bandwidth requirements are high and the internet connection is not sufficient. Take gaming and downloading files over the internet as a typical scenario. The web browser could hog the network causing the game to play poorly. The need for internet management in your network and limit bandwidth in your network is thus very important. Limiting the speed for internet downloads on the web browser would go a long way to avert possible network bottlenecks. Some applications meant for download management have controls for maximum download or upload rating. This helps to prevent the flooding of the connection thus allowing reasonable running for all applications that require an internet connection. Bandwidth limitation is a solution that can help to shape application traffic to the connection. Such solutions include software that manages access to the internet, based on priority. After years of experimenting with different network traffic monitoring tools, these three are the best methods I’ve found to work. This is a reliable limit bandwidth software. It comes with advanced options compared to most of what is available in the market. Unfortunately, it may require some understanding, if not expertise, to set up the limitation rules. A few rules need to be configured for the outright results. Setting limit or priority for the running applications is not as easy as clicking on listed processes. Here, you need to know the ports being used by specific processes. Every process runs on a certain port. By manually running the ‘Add Rule’ wizard, you can limit the traffic. Alternatively, you can use the lower half of the program window to monitor the traffic, right click and create the right rule. To set up the rules, you will be expected to determine the number of factors: identify the network adapter; the speed limit for upload and download; IP address and the rule’s priority. The Traffic Shaper XP can run in the background and continue to monitor and shape your network traffic even when closed. Worth noting, this tool comes with its shortcomings: not very effective in most Windows platforms, although proved to work well with Windows 7 32-bit. The free version is limited to a maximum of 5 rules and supports only TCP rules. Learning how to limit bandwidth on router per user over your network is a very important thing. NetBalancer is a tool designed to give you that control. You can control the running applications and processes, and their priorities to access the network. The tool can be used to set the transfer rate priority for both downloads and upload on any application. It is effective in the monitoring of internet traffic. 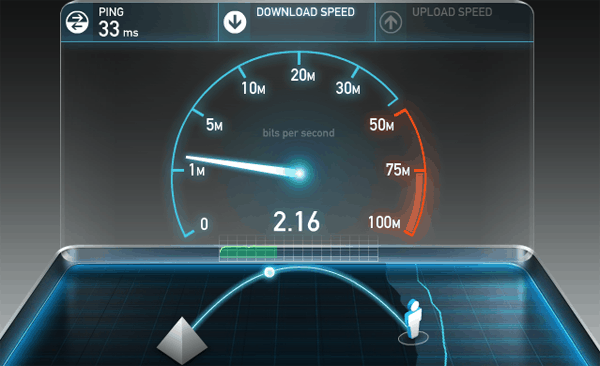 Setting the upload and download rates is the commonly applied method for controlling traffic. It is used by most torrent and download managers. While it has proven to work, the approach is not as dynamic: for instance, when gaming, you may want to shrink the download on the browser to something like 150 KB/s. Once done gaming online, the bandwidth is now free, yet downloads are still held at the set rate. Thanks to the prioritizing feature in NetBalancer, you can control traffic by setting application priorities. Simply, high priority applications and processes get the first option into accessing the network. Once done, or if they no longer require it, the low priority applications and processes can then take over. This tool shows all the running processes and applications, indicating their specific inbound and outbound traffic. It shows all active connections with all the relevant information on download and upload traffic. The tool allows for rule configurations for certain time and dates. The free version can only allow 3 process limits and priorities and 3 different rules at a time. however, you can register to get the pro version at around $29.95. 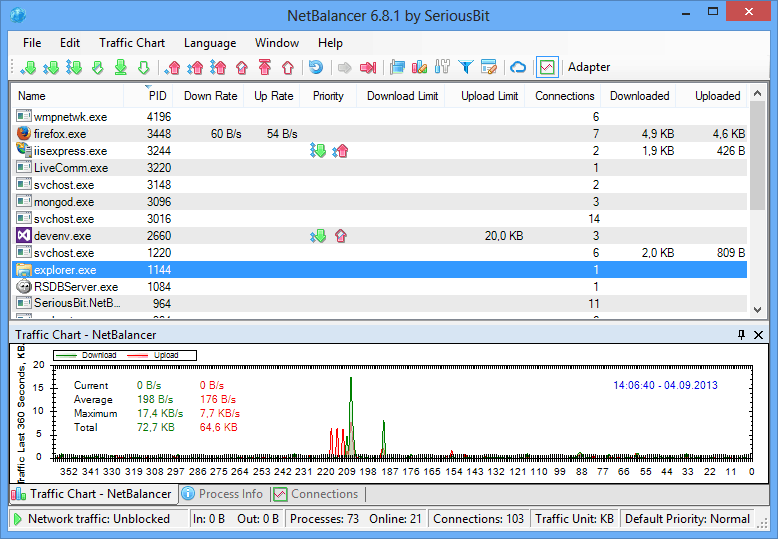 NetBalancer works on both Windows 8 and 2000. While this tool has been known to be user-friendly – with only one configuration option – is has failed on any OS above Windows XP. Shunra Nimbus works in a different way to control bandwidth: unlike the other tools, Nimbus works by applying the traffic limits across the system. It means, this tool works best if you are gaming on one machine and downloading from another, while both systems are on the same network. Shunra configuration only requires the selection of the bandwidth speed (between 144 and 256) and click Play. Worth noting, it calculates the limits by KB/s, and as such, the limit is set to number divide by 8 e.g., 256/8 to get 32 KB/s, which is very slow. It works to stabilize the network, though. It is utterly an obsolete tool in the modern days. How to Buy Your New Laptop on the Cheap? How Much SSD Do I Need for Gaming? How Long Do Gaming Laptops Last? Time to upgrade? Laptopverge.com is a participant in the Amazon Services LLC Associates Program, an affiliate advertising program designed to provide a means for website owners to earn advertising fees by advertising and linking to amazon (.com, .co.uk, .ca etc) and any other website that may be affiliated with Amazon Service LLC Associates Program. Laptop Verge is a participant in the Amazon Associates Program.